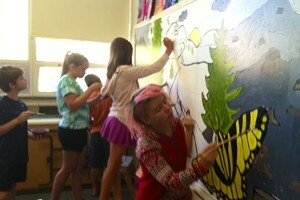 The Art of... Fiddling | The Art Of | Kids VT - small people, big ideas! The fiddle is a violin played in a folksy rather than a classical style. When it's time for 8-year-old Blue Boucher of Cabot to practice, he has an appropriately folksy routine — he grabs his case and heads out his front door, past the henhouse and up over the crest of his dirt driveway to his grandma's house one-tenth of a mile away. There, the two of them take turns playing songs like "Cold Frosty Morning" and Blue's favorite, "Cluck Old Hen." Both Blue and his grandmother Judy Boucher started playing the fiddle last year. They take lessons from Katie Trautz, a musician and instructor who, along with a business partner, founded the Summit School of Traditional Music and Culture in Montpelier four years ago. "Katie has taught them by playing songs — a little music theory and some scales — but mostly songs," says Blue's mom, Jen Boucher. "I think that really appeals to him." In the two weeks between lessons, Trautz writes a to-do list in a notebook for Blue and plays songs into a digital recorder for him to review. Sometimes he records himself playing so he can listen and compare. Over his last year of fiddling, Blue has outgrown his quarter-size fiddle and currently uses one that's half the size of a standard adult model. The fiddle is a staple of Vermont summer concerts, and Trautz is currently a member of three different groups, playing fiddle, banjo and guitar, and singing vocals and harmonies. Blue made sure to catch one of his teacher's performances last year at the Cabot Public Library. "I think he does get inspired by seeing good people playing," says mom Jen. When Trautz was a seventh grader in Cabot, she was similarly inspired by a visiting musician. That early encounter with Emily Lanxner and her Trinidadian steel drum piqued Trautz's curiosity. "It wasn't like any of the music I had already been exposed to," Trautz says. "To be exposed to another culture's traditional music was eye opening." She picked up the fiddle in high school and went on to study anthropology and music at Bates College. After graduation, Trautz was in a band called Sugarblue when friends and neighbors started asking her for lessons. She continued her own education at the Augusta Heritage Center in West Virginia, where she got most of her training in Appalachian music. Now, through the Summit School, Trautz is able to give children their first listen to the sounds of other cultures, through workshops in West African drumming and traditional Irish music. The school also hosts concerts, as well as a new day camp with lessons in folk songs, guitar, ukulele, banjo, drumming, clogging — and, of course, fiddle. For children just starting out — and still growing — renting is the way to go. 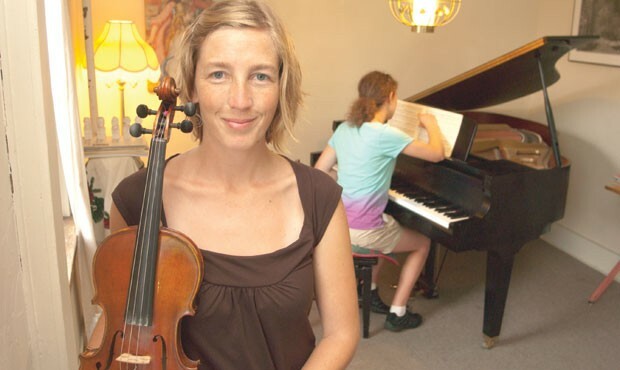 "Many parents would prefer not to invest hundreds of dollars until they have confidence that their child will be taking lessons for some time," says Oren Kronick, owner of Vermont Violins and the Burlington Violin Shop. An experienced clerk at a rental store can measure a child to recommend the appropriate size of violin, offer instruction and advice on caring for and tuning the instrument, and make sure it's in proper working order. Rental rates range from $15 to $25 per month and rent-to-own options are often available. At Vermont Violins, a new, high-quality kit that includes a violin, case and bow starts at around $500. Other local retailers include Gregoire's Violin Shop, Paul Perley Cellos and Faller Music Company, all of which can be found online. Fiddlers will also need to purchase a block of rosin, and may want to consider investing in helpful accessories like a shoulder-rest support, music stand, chromatic tuner, blank sheet-music pad and metronome. Fiddle lessons run about $30-40 per hour, but half-hour options for $20 are usually available, as well.